D. A. Bartley Mystery/Thriller Author – D.A. Bartley’s family settled in the Salt Lake valley in the late 1840s and early 1850s. She’s a member of the Daughters of Utah Pioneers. Alison received both her J.D. and Ph.D. in political science from the University of Pennsylvania. She moved to New York City where she worked at a global law firm and was a research scholar with a focus on international relations. 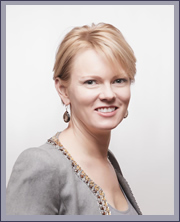 Alison has lived in Utah, Scotland, France, Germany and Russia. She jokes, "you can take the girl out of Utah, but you can’t take Utah out of the girl." 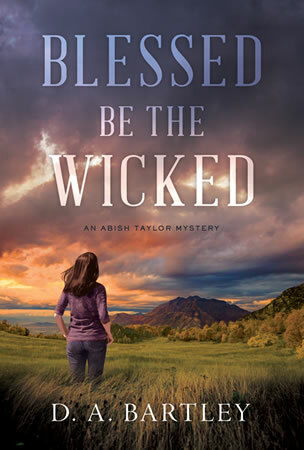 Blessed be the Wicked is her debut novel. Nominated for the 2018 Reading the West Book Award. As she uncovers the dark side of the picturesque neighborhood—infidelity, corruption, and the greed of a global religion—Abbie discovers just how far some powerful leaders of the Church will go to bury their secrets. Especially as the brutal murder unearths a sinister tradition lurking in the religion’s not-so-distant past: the ultimate sacrifice for unforgivable sins. With the chief pressuring her to close the case and the community that once sheltered her watching her everything move, Abbie must find justice for the dead—before she’s silenced for good.